Life is like a play – we merely go through the stages of our life acting it out. As times change, we change. So do our responsibilities and priorities. 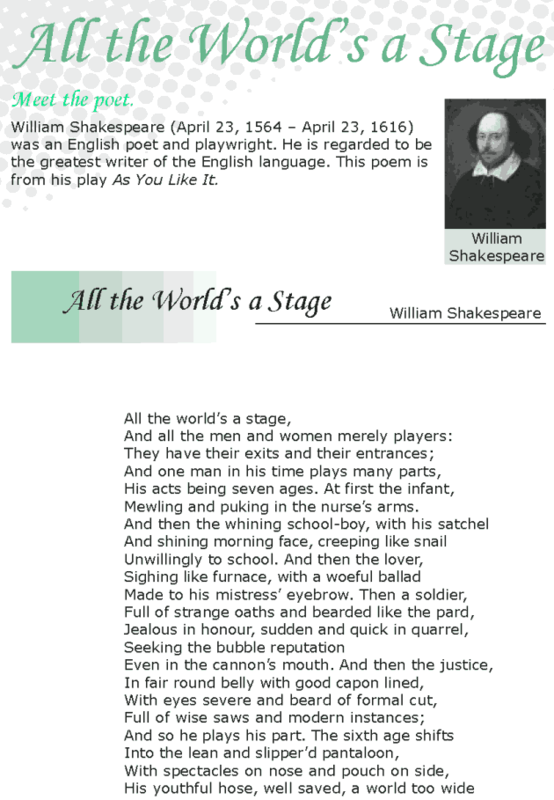 This is what William Shakespeare wants to relate through this poem, All The World’s a Stage. Read it and see if you agree with William Shakespeare and his views.